Your friends will be green with envy when you tell them you’re heading to San Diego this weekend. With so many great attractions and events, there’s something for everyone; you won’t need the luck of the Irish to have a good time. Check out these top things to do in San Diego during this festive weekend! The St. Patrick’s Day Parade is always a fan favorite! There’s a party and then there’s a party on St. Patrick’s Day. Celebrate with friends across the region at some of San Diego’s annual events including Irish 4 A Day – St. Paddy’s Eve Party Hop, shamROCK Gaslamp Block Party, St. Patrick’s Day at the Glass Door, St. Patrick’s Beer Train Tour, and the St. Patrick’s Day Parade & Festival. Read more on our St. Patrick’s Day blog. Kids — and adults — will have a hair-raising day at Balboa Park. This one’s for the kids – and adults too! This week-long festival takes place at various locations throughout the region. On Sunday, March 16th, enjoy Balboa Park STEAM Family Day, where more than two dozen institutions in the park gather to present park-wide events. Enjoy hands-on activities, crafts, a butterfly release, storytelling and much more. Run, swim, and bike your way across Coronado Island! This one’s for the athletes… and the dreamers. 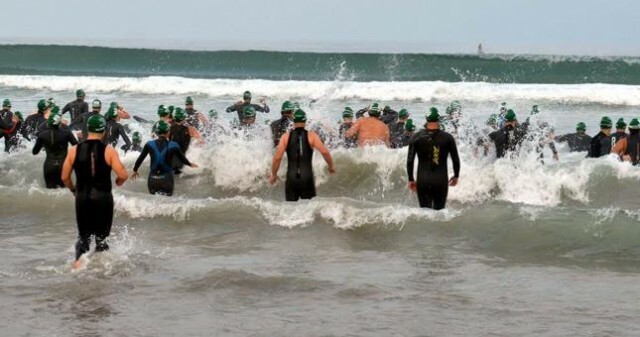 There’s no more spectacular setting than Coronado Island for an intense triathlon competition. The course was designed by Navy SEALs who train on the island, so expect a rigorous race. The SUPERSEAL consists of a 1,500-meter swin, 40K bike ride, and 10k run. For the less-adventurous, the SEAL course is shorter with 500-meter swim in Silver Strand State Beach Bay, 20k bike ride, and 6k run. Whatever you choose, good luck! It’s a flat terrain course, but still a challenging 80-mile ride in Borrego Springs! We’ll start with a caveat on this… the terrain is mostly flat. But you still have to be in shape for this spectacular scenic bike ride through Borrego Springs. Choose from 27, 40, 67, or 80-mile paved road courses while enjoying the beautiful mountains in the distance. Don’t miss the landmark prehistoric metal sculptures too! Enjoy a spectacular view at sunset during this elevated art fair! This event at the Porto Vista Hotel literally elevates your art collection. Enjoy a breathtaking view of San Diego’s Big Bay during sunset while sipping champagne on the rooftop terrace. This open-air contemporary art fair features works from San Diego’s local emerging artists and galleries.